Grace Chatto reveals how two VERY exciting collaborations came about for the band’s new album. Clean Bandit have resumed their reign at the top of the charts and have a new album on the way… and this one has a couple of VERY special guests artists on there – Labrinth and Elton John! They're Dating WHO?! 2016's Hottest Celebrity Dating Rumours! 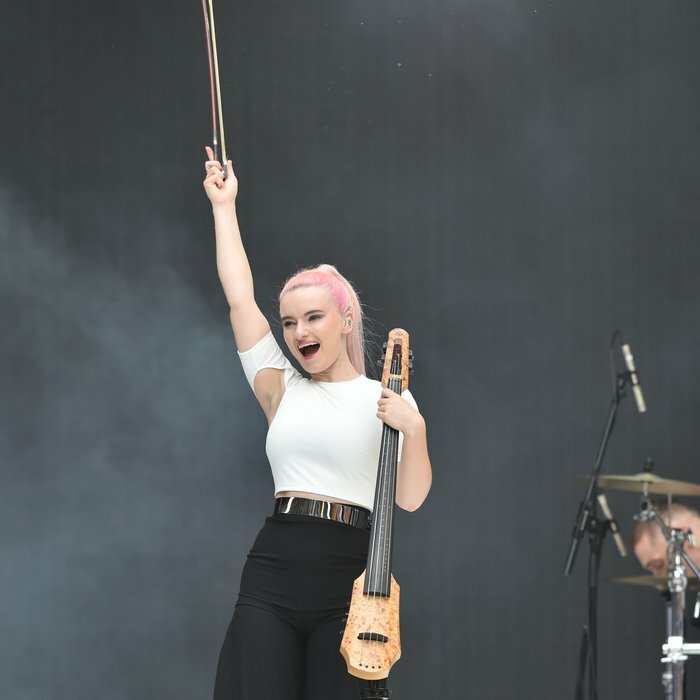 Speaking to Global’s Kevin Hughes at Isle Of MTV, Clean Bandit’s Grace Chatto revealed, “We’ve been making a song with Labrinth which is really exciting because we have always been massive fans of his work. “And recently we’ve been writing a few songs with Elton John who I met at the Ivor Novellos last year and he sang ‘Rather Be’ to me and so I was like ‘Maybe we should make something together’. Clean Bandit recently released the brilliant ‘Tears’ with Louisa Johnson so we’re VERY excited for what they’ve got in store for the album, too! You can catch all the action from the Isle of MTV Malta 10th Anniversary on MTV in August.